Shopping for a new Mercedes-Benz Sprinter? El Cajon business owners don’t have to travel far! Mercedes-Benz of El Cajon is your source for a new Sprinter for sale, from the WORKER Cargo to the Cab Chassis. Whether you need ample cargo space or towing prowess, the Mercedes-Benz Sprinter Vans and Cab Chassis deliver. 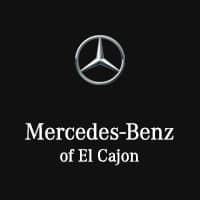 Find a brand-new Mercedes-Benz Sprinter for sale below, then schedule a test drive near San Diego and Chula Vista! Which New Mercedes-Benz Sprinter for Sale is Right for You? Cargo Van—offers up to 530 cubic feet of cargo space and tows 5,000 to 7,500 pounds. Crew Van—seats five people and offers up to 367.5 cubic feet. Passenger Van—seats up to 12 people. Cab Chassis—tows 7,500 pounds and hauls up to 6,521 pounds. Once you purchase a new Sprinter for sale, our team will help you care for it for years to come! Our service team knows Sprinter Vans inside and out, and we’re always offering Mercedes-Benz Sprinter service specials for La Mesa drivers.